We’ve mentioned it before: It’s summertime in Australia right now which means it’s time to play outside, enjoy some sunshine, and set up an outdoor kitchen (aka grill). As Geocaching HQ is located in the Northern part of the globe, it can be easy to forget that it’s not raining, cold, or snowing everywhere in the world. In the past, we have repeatedly challenged the Southern Hemisphere to summer activities in their winter–so we think it’s fair to flip the script and challenge the worldwide geocaching community to get out the grill and host a barbecue event, no matter the temperature. Patience. When it comes to grilling, timing might be the most important thing. Make sure to bring the charcoal to the right temperature, before starting to cook your food. They should be white, glowing with just a few flames here and there. If you’re a carnivore, bring your steaks to room temperature before throwing them on the grill. Dedication. Every great barbecue party needs a designated grilling expert. 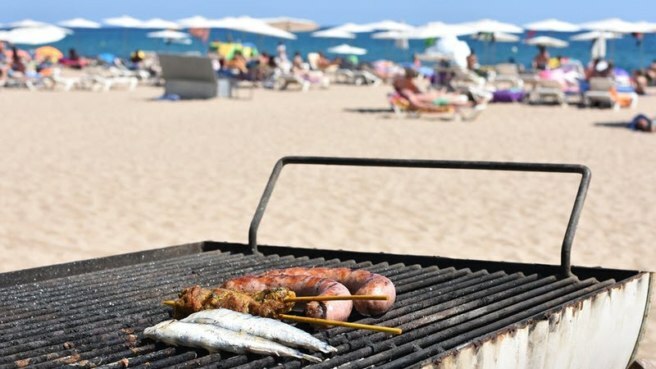 The barbecue, charcoal and the food on it, need to be constantly watched, prodded, turned, and occasionally doused with beer. If you are the expert: you are the most important person at the party. If you are not the expert, make sure they feel appreciated, stay hydrated, and get a break to enjoy him or herself too. Creativity. There are a few barbecue staples such as sausages, steaks, or pork chops that are crowd pleasers, but don’t be scared to think outside the box. Cook flavorful veggies, fruit, or even cakes on the grill. The smokey flavor will enhance every dish. Use the world wide web and your favorite recipe sites for inspiration. The charcoal is hot–the fingers are cold: Here is how you won’t let the weather dictate the outcome of your grill party. Prep inside. Make sure to prepare your food beforehand, so all you have to do is throw it on the grill. Depending on how cold it is, leave it in an insulated cooler without ice to keep from freezing. Get a cover for your grill. It might be really cold and windy where you’re at. This can make it difficult to keep a steady temperature on the grill. 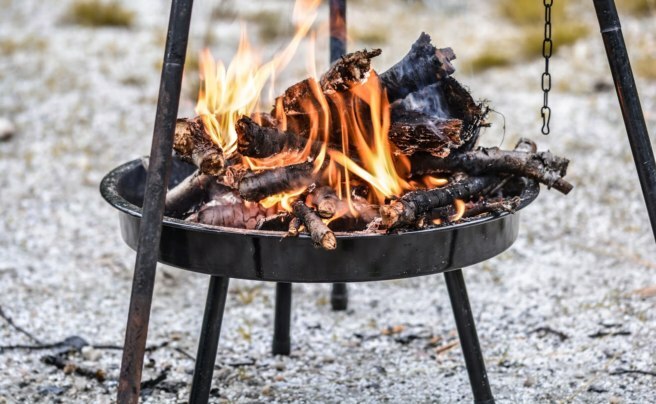 To keep the grill hot and keep you from going through truck loads of charcoal (though you will need to bring a bit more than for a summertime barbecue), cover your grill and only lift the cover sparingly. Tuck in your scarf. Even if it is ice cold outside, please don’t light yourself on fire. Don’t mix up winter gloves and oven mitts. Note that even thick gloves might not be heat resistant. Think teamwork. Have more than one person handling barbecue duties. Switch frequently to avoid getting too cold. Now that you got all the tips to make your barbecue fest in honor of Australia a glowing success, make sure to submit your Event Cache no later than January 12. Or see if there is already an event in your area. If there is, don’t forget to post your ‘Will attend’. What will you throw on the barbie at your event? Tell us in the comments below!